Fort Lyon is located along the Historic Santa Fe Trail, as was completed by the Army in 1867, with the period of significance extending to 1956. Old Fort Lyon was notable as the staging post used by Colonel John Chivington in 1864 as he led an attack by the Third Colorado Cavalry and other forces on friendly Cheyenne and Arapaho camps that became known as the Sand Creek Massacre. Key organizing elements of the site are the central Parade Ground, the Gate Road, Northeast(or Cemetery) Road, and the Arkansas River. The historic district is a 327 acre parcel, and the Character-defining features of the historic district as a whole are the: Main Entrance, Parade Ground, Officer’s Row, Medical and Administrative Buildings (on the Parade Ground), Residential Areas, Utility Area, Wastewater Treatment Area, Recreational Facilities, West Farm, Road System, Agricultural and Irrigation Components. 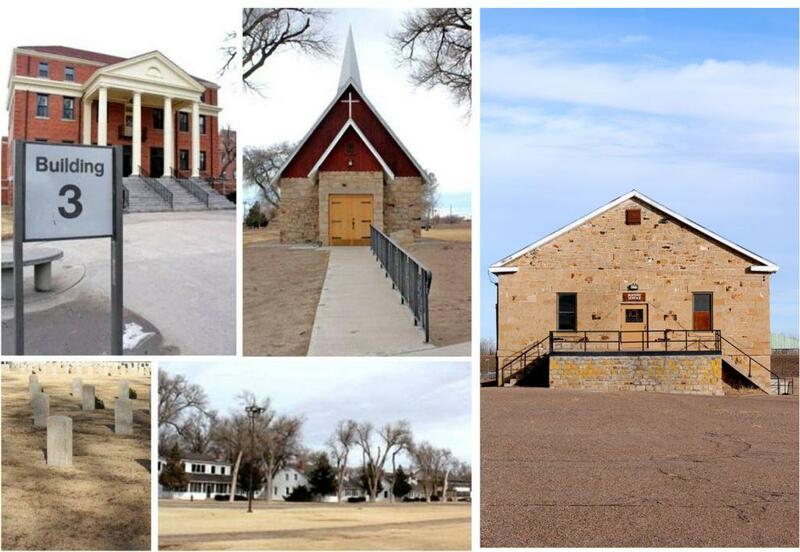 The history of Fort Lyon can be separated into 3 periods beginning with the Army Period (1868-1888) when the Fort was laid out in the tradition of a late nineteenth-century western military fort. Next was the Navy Period (1907-1922) when the Fort was used as a tuberculosis treatment facility, then the Early VA Period (1922-1956) when the Fort was maintained as a tuberculosis treatment facility, and later changed to be a residential care facility for veterans with neuro-psychiatric needs. The Fort is an important part of the area’s early history and demonstrative of the opening up of the West. The Colorado Department of Corrections has vacated the entire facility and the Fort’s future was uncertain. The site currently functions as a Coalition for the Homeless and has received local as well as national attention.